The Avanti was produced, from 1962 until 1991, except in 1986. The first Avantis, manufactured by Studebaker, were 1963 models. Studebaker produced 4647 Avantis between June 1962 and December 1963. 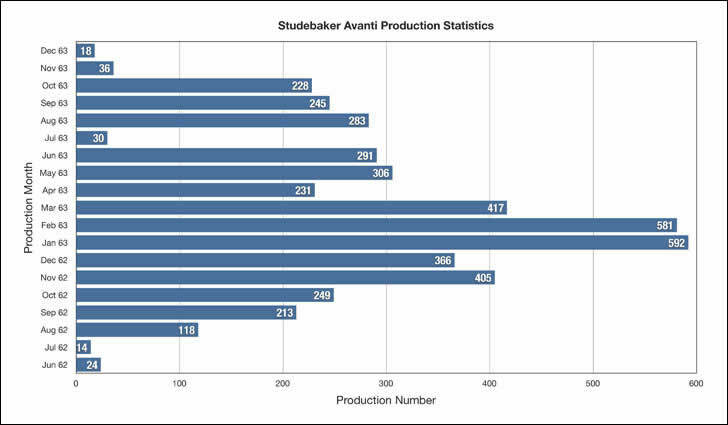 After Studebaker shut down Avanti production, Nathan Altman began production of the Avanti II. The Avanti II was manufactured from 1965 until 1983. Stephen Blake introduced a convertible and updated the coupe. Michael Kelly renamed the company the "New Avanti Motor Corporation" and introduced the LSC model. John J. Cafaro brought the car into the nineties and added a four door model. An updated version went into production in October of 2000. The values shown here are from "Avanti" by Thomas E. Bonsall. 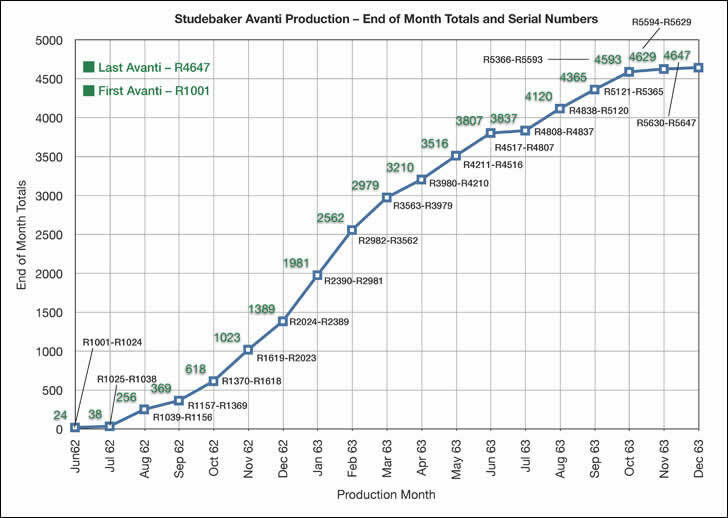 For more detailed statistics for the post Studebaker production years click here. 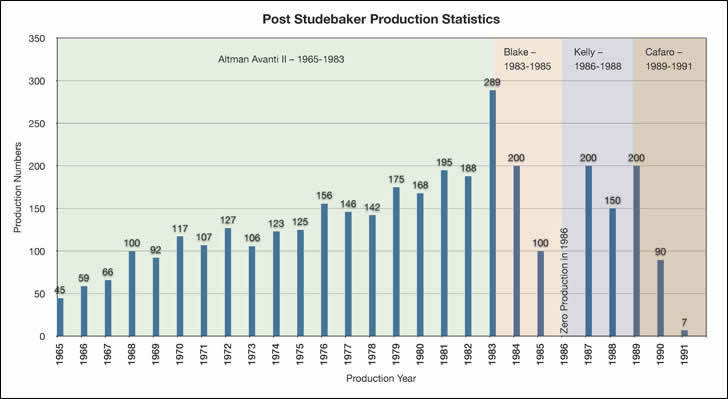 For more detailed statistics for the post Studebaker production years click here.